An extravagant, multi-sensory, energy drink-sponsored breakdance show, in town for three nights only. 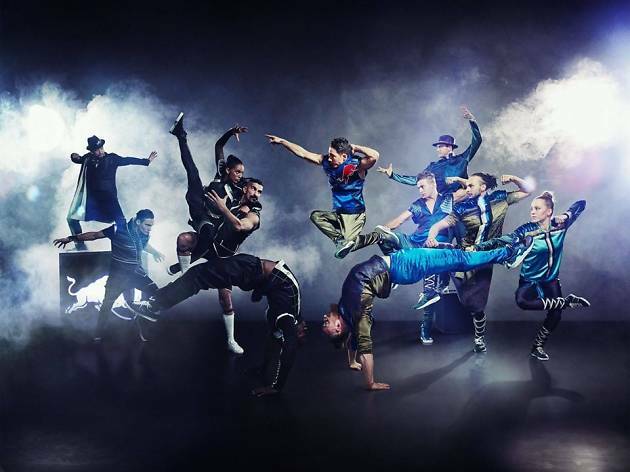 Having toured Germany, Austria and Switzerland with their latest show, ‘Flying Illusion’, breakdance troupe Flying Steps are finally touching down at the Zénith this November. Combining breakneck choreography with jaw-dropping illusions, a heady soundtrack and dizzying visuals from designers Pfadfinderei, the show has already received great acclaim and will no doubt keep Parisian punters teetering on the edge of their seats. If you don’t manage to catch the group in Paris, they’ll be taking the show on the road around the rest of the country in the weeks afterwards.